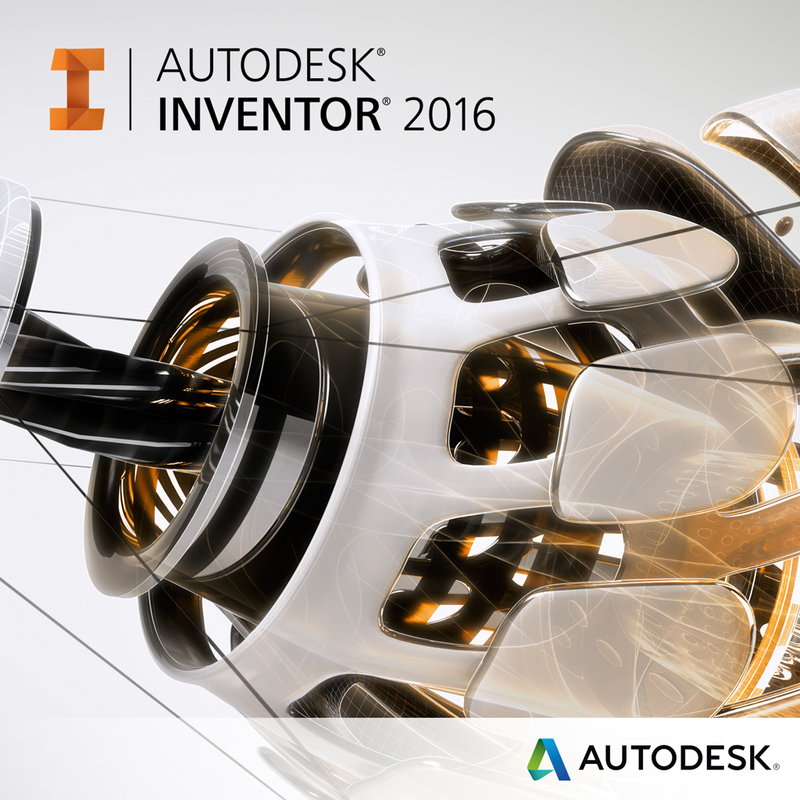 What’s New in Inventor 2016? Yeah it’s that time of year again when Autodesk releases its new product version and suites to everyone. Although there are many new features in Inventor 2016, today I want to take this opportunity to cover some key functionality with you. Home screen: The home screen has been redesigned for this year. Sketch mode: “Show Input” is provided to display the source plane (or face) of your sketch. Sketch mode: “Show All or Hide All Constraint” display now remains active in your sketch. In addition, consistencies in the visibility of a shared sketch in all workflows. Part modeling: Rectangular patterns of solid bodies can now be created along a nonlinear path. 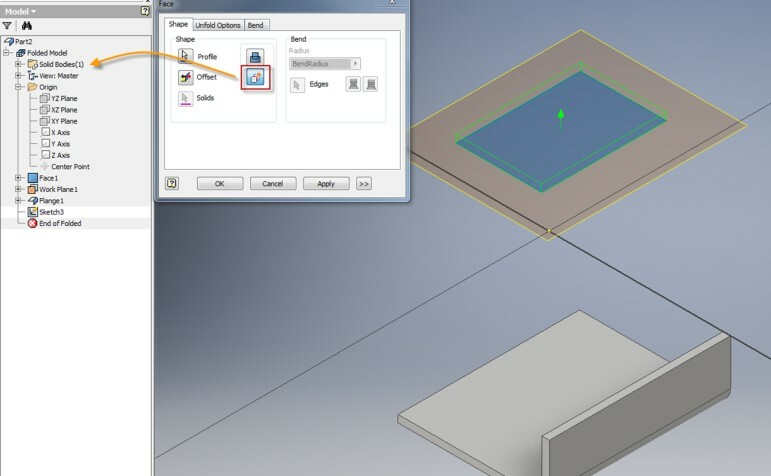 Part modeling: Importing of an AutoCAD drawing is now possible in a part (or an assembly) file along with the ability to project its geometry to simplify the creating of a 3D model from 2D information. Part modeling: Mirror and rectangular patterns now support multiple solid body selection. Free forming: A fully function free forming environment is now available, much like the environment within Fusion 360. Assembly mode: Select multiple sick constraints within the Design Doctor and delete or suppress them in one step. 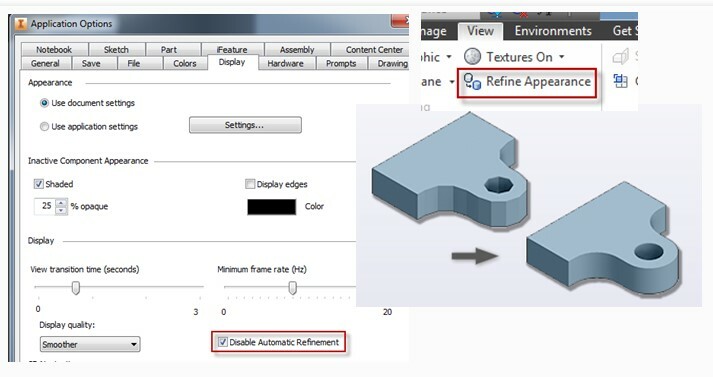 Assembly mode: A “disable automatic refinement” option is available under Application Options to improve graphics performance when working with large assemblies. Assembly mode: A mid-plane option is now available under the (assembly) component pattern function. 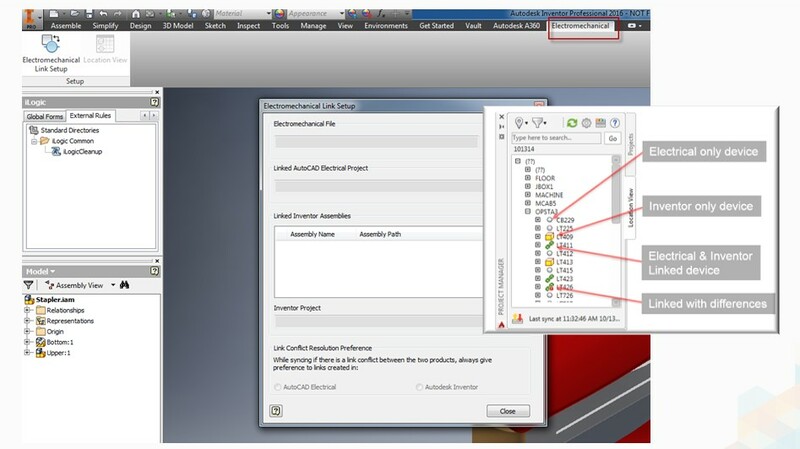 Assembly mode: An “Electromechanical” interface is now part of the assembly mode allowing data to be exchanged between AutoCAD Electrical and Inventor. When linked, the project files between the two applications become associative and when a change is made (in one product), the information is updated in the other application. Drawing mode: The view cube is now provided to orient the base view on placement and direct-editing (view) tools are also included to simplify the workflow when projecting (gray triangle markers) and scaling (green corner markers) drawing views. Drawing mode: Drawings can now be started directly within your model by orienting the model per the base view and select “Create Drawing view”. Drawing mode: Text preview now present in the graphic windows as you create or edit your text. 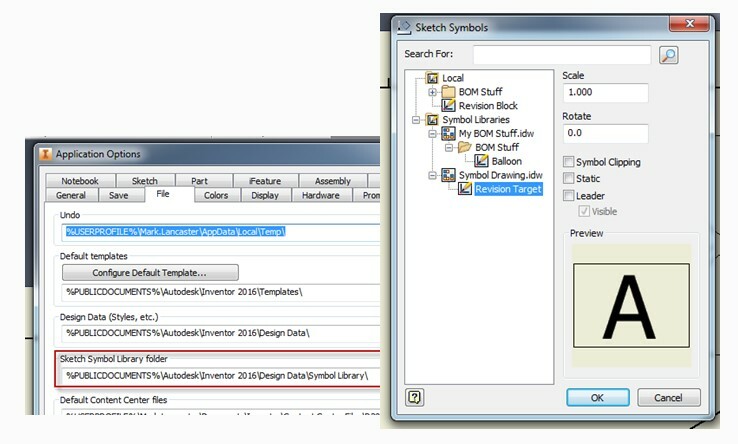 Drawing mode: A centralized/external sketch symbol interface is provided to share and centralize your drawing symbols. 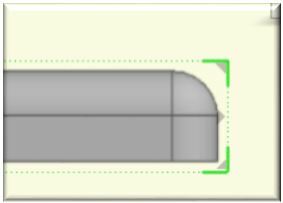 Drawing mode: A new drawing sheet property has been added to retrieve the scale of the initial view, thus allowing the scale of the base view to be automatically populated in the titleblock. ANYCAD (technology): An associated link can now be created to models that were developed using CATIA, Solidworks, NX, Pro-E/Creo and Alias. 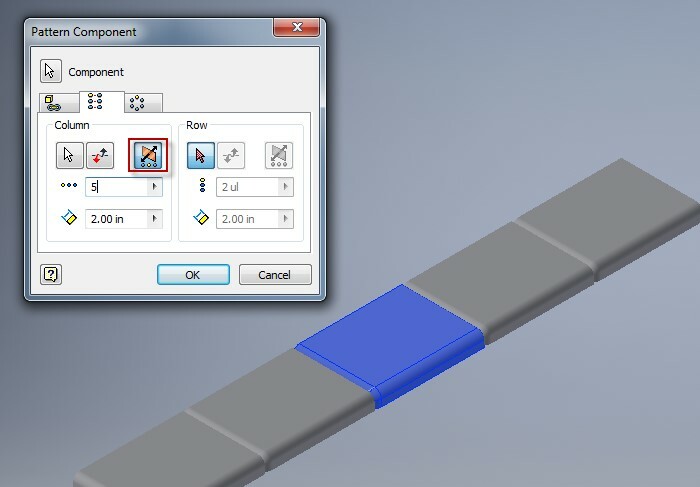 When the imported geometry is updated in its native application, the information within Inventor will also update. 64B Support Only: 32B operating system is no longer supported. The Inventor browser window can now be docked on any monitor edge and an “Always on Top” option is provided to maintain the visibility of the browser window when it’s not docked inside of the Inventor application. The escape key <ESC> can now be used in many operations to abort or cancel the function. Sheet Metal: Sheet metal functions of face, contour flange/roll, lofted flange, and split now supports the multi-body lump modeling technique. iLogic: The ability to export (and import) your iLogic configuration (external rules) to other users and machines. 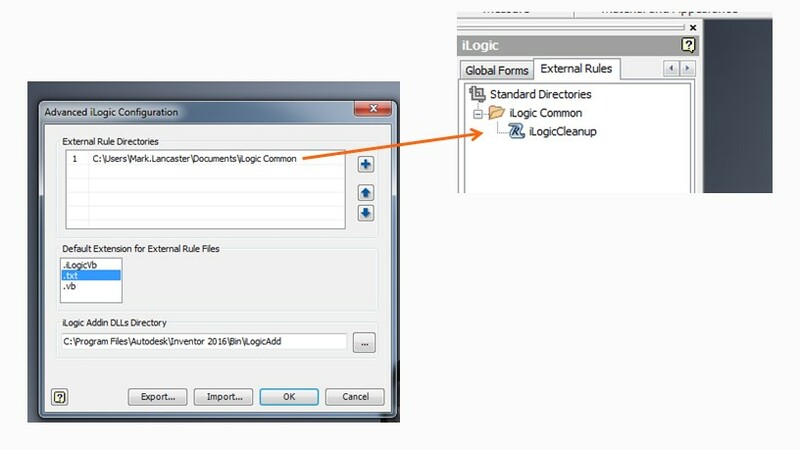 In addition any external rules specified in the configuration now automatically loads under the “external rules” tab of the iLogic browser. Overall I’m very impressed with this release and the new functionality it provides to the end user. 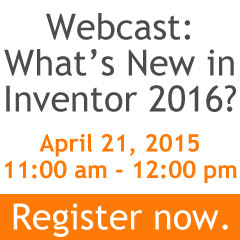 For an in-depth look into Inventor 2016 please attend our “What’s New” webinar on April 21 at 11am.